Beta 1.01 is a work written and recorded November – December 2010. The work was originally designed to be a mono-drama and eventually developed into a mostly instrumental concept album with voice but no words. Psychedelic music as well as political and social history of hypocrisy in the 20th Century were the driving themes behind the musical writing. 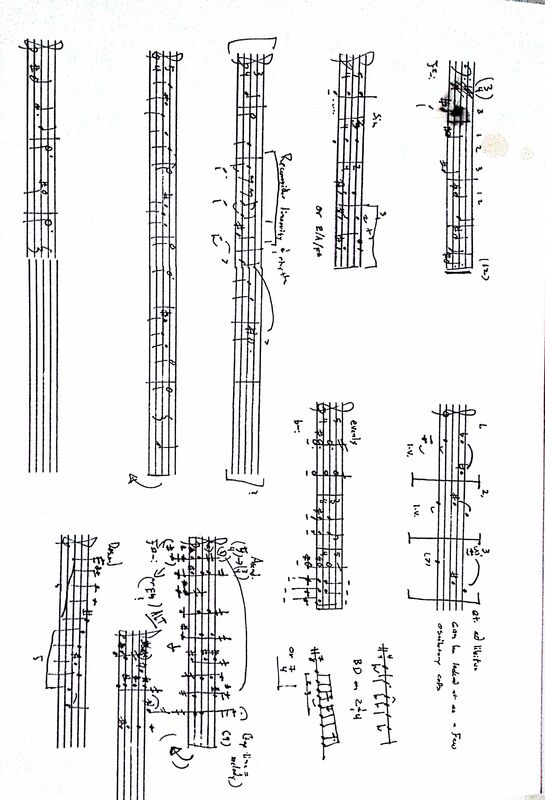 The work is divided up into rhythmic patterns, songs, transitional material as well as an introduction and coda. Originally recorded with 2 guitars, electric bass, voice and Strombophone, the work could be reinterpreted for a different instrumentation. There are strong popular music influences and I see this work as a development from the music done in Tropendrift. The electronic and compositional concepts have developed from that work. The work uses the notational style that was developed through the Isthmus series. The original working sketch is presented on this page.